RESOLVE: Conflict Resolution thru Sport (RESOLVE: Sport), is a Sport for Peace and Development youth exchange & network programme, which aims to use the power of Sport and wider reconciliation tools such as Simulation games to resolve local and community-level conflict which especially affects young people today. RESOLVE is a medium European-wide partnership involving 4 partners in total, 3 Programme countries and 1 Partner country. 4 youth exchange activities will take place in London, UK; Tbilisi, Georgia; Uppsala, Sweden; Nicosia, Cyprus. Activities will take place throughout Europe: East/North/South/West- promoting this method of reconciliation and youth-led network. RESOLVE is a new section team of conflict resolution activities launched by Asfar, which aims to become a long-term sustainable brand of activities in order to address local conflicts and empowering young people to become active citizens in conflict resolution and learning new tools to eventually launch their own youth-led Reconciliation Network. This youth exchange programme aims to develop young peoples’ skill-sets, launch a youth-led Network (or link/emerge it to previous Erasmus+ RESOLVE youth-led networks if they exist by the time the project is launched) and support young people to deliver their own local conflict resolution activities through the use of Sport for Development tools, Simulation games, informal learning, citizenship & democracy and wider tools. Throughout the activity, participants will not only participate on a unique transnational learning activity, but will also develop leadership and team-working skills, social action and citizenship outlooks and a wide range of competences, essential for their communities, their country and Europe. With an emphasis on participants learning how to use Sport for Peace and Sport for Development tools to resolve conflicts, participants will be enabled to be social leaders and mediators within their societies using the power of Sport to change their communities. Partners will also mobilise wider Conflict Resolution tools, such as Simulation Games: Simulation Game is an elaborate tool for training, mocking a real-life situation and projecting the potential outcomes of an action. It involves games, role-plays, case studies and socio-drama circumstances to simulate representations of reality situations. In most cases, Simulation Games are used to develop the capabilities of the players/participants to take decisions by providing a model of reality allowing the players to create a dynamic that captures their interest through competition, incentives for success and a scoring component. Long-term Asfar partner, CDC/Mir Akademien will mobilise the Simulation Game element of RESOLVE. 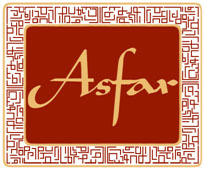 Asfar, as an experienced international Youth organization and designer of methodologies including Adapted Sport techniques for development and conflict resolution will work with partners in countries that experience a live or recent War or social conflict. Partners’ participants will learn how to use Sport through Asfar’s methods to replicate within their own communities to end conflict; build skills; engage with peers from different backgrounds; and address social intolerance. Alongside Sport techniques, participants will learn about Social Action and how to design and develop their own social action programme utilising tools created by Asfar’s KA2 Strategic Partnership programme: Micro-Enterprise and Social Action international Partnerships. Participants will also learn about Global Citizenship, Civic Responsibilities; Human Rights; and Democracy.